View. View. View! 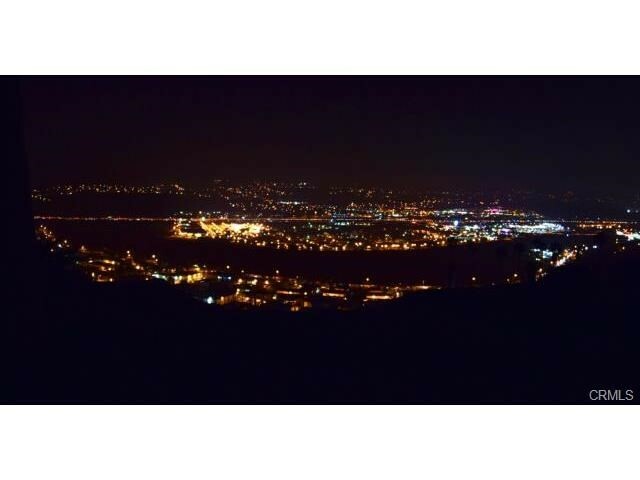 The best promontory view available in north orange county. Breathtaking city light all the way to catalina island! Designed by an amazing architectural firm, this masterpiece features walls of glass to enjoy the unparalleled city light and view of catalina island. 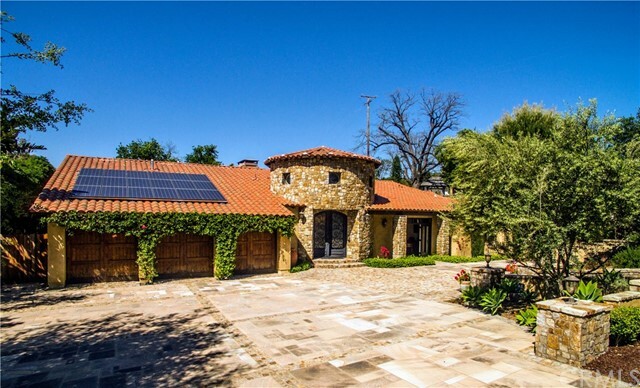 This property is totally different from anything you have seen before, a magnificent estate boasting 9320 sq. Ft 5bedroom, guest quarter, great room, media room, master suite with wrap around balcony, office, exercise room, exercise lounge, home theater, wine room, pool, spa and 4 car garage. The courtyard provides california outdoor living at its finest! Relax comfortably by the outdoor bar and fire feature. This type of estate opportunity does not come around often. This is a rare find and an incredible opportunity to build an even larger estate or a mother in law quarter if you so choose. This modern estate in on 3. 2 mostly flat acres overlooking those amazing views. Plans are avail. 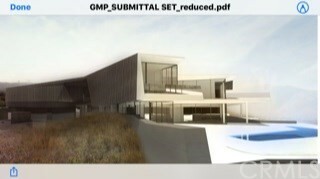 Note the property is currently a land parcel however that the listing includes the building of the specified structure. Huge price drop for quick sale!!!! This fabulous toll brothers view estate residence in prestigious amalfi hills. Owner spent 1 year to upgrade. It has extremely luxury design palace like front yard with unique design fountain fixture and iron gated courtyard. Custom wrought iron entry door leads to an elegant entry circular foyer w/soaring high ceilings with exquisite chandelier and medallion accented extra thickness marble floor all through. Main floor has two suites. One large suite with own access to the side yard. Media room/office is next to the living room. Formal dinner room connected to the gourmet kitchen w/expensive island w/ granite counter-top. Chinese wok prep kitchen. Walk-in pantry. Floor to ceil windows at family room to enjoy the lush backyard view. Private 2nd stairway gives convenience path from upstairs bedrooms to the kitchen. Exquisite huge master bedroom has balcony with breathtaking city light and catalina island view. Extra-large lavish master bathroom with soaking tub and shower area. Oversize walk-in closet with custom designed build-in drawers and cabinets. 2nd floor has another spacious bedrooms. Luxurious resort like back yard features sparkling pool and spa w/waterfalls. Luxurious ancient roman style patio and bbq perfect for outdoor entertaining. Two laundry rooms for each floor; solar panels, build-in storage cabinets in garage; rv parking. Prestigious yorba linda school. A must to see estate. 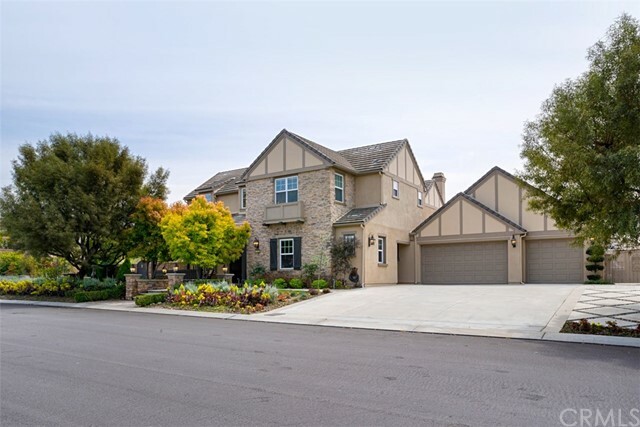 Welcome home to your prestigious estate nestled in the upscale community of kerrigan ranch. This “english model 3x” displays 5 bedrooms and 6 ½ baths with a redesigned kitchen, a formal dining room with french doors that open to an expansive courtyard, perfect for indoor/outdoor entertaining, a large home office and downstairs guest suite with a separate entrance. Unwind with a book in the front living room, or relax in the comfy open family room, both with fireplaces. Enjoy a 500 foot bonus room, perfect for a home theater and game room, opening to the 44 foot covered patio with 3 dcs space heaters. The tranquil back yard offers a salt water pool and jacuzzi, built-in bbq area and a permitted pool house with a full bath and tankless water heater. Move up the custom wrought iron staircase that leads you to a beautiful guest suite and two large kids’ bedrooms that have walk-in closets and a jack n’ jill remodeled bathroom. The master suite includes a grand room with formal sitting area, dual walk-in closets custom built-ins, a beautiful freestanding relaxing tub, and tiled shower. From the master bedroom, you will enjoy amazing sunsets, views of catalina island and the twinkling city lights. Notice the spacious 3 car garage with built in storage, epoxy floors and rv parking that could be used for a dog run. 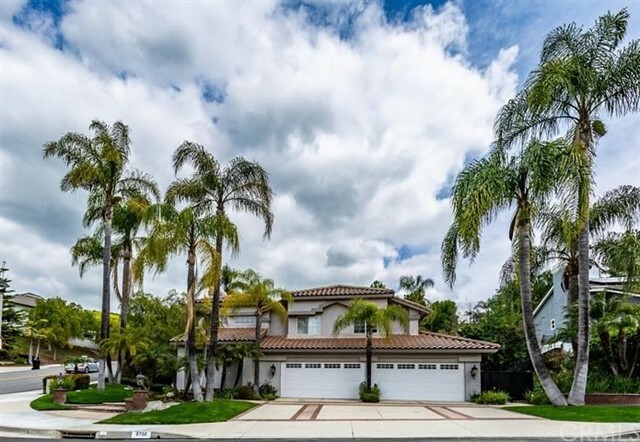 This stunning estate is located in the top-rated placentia unified school district and just up the hill from the “brand new” yorba linda town center. Move-in ready. Gorgeous. 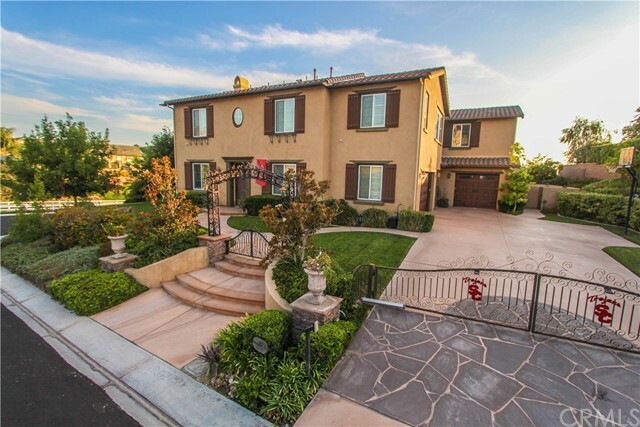 This spacious yorba linda home provides the ultimate in location, comfort, and entertainment opportunities. 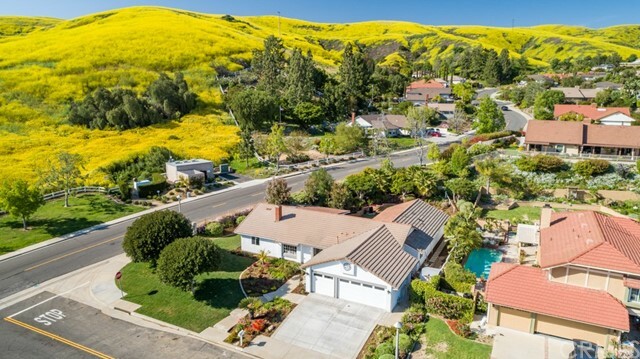 Located in a well-maintained neighborhood with no hoa or association fees, close to freeways, shopping and top-rated schools. This property features an excellent 2-level design, incredible floor plan complete with front and back staircases, with approximately 3759 sq/ft of interior living space set on an unusually large 22,500 sq/ft lot. You will enjoy this 5-bedroom, 3. 5-bath home, with beautiful cherry wood floors, a spacious kitchen, cherry wood cabinets and stainless steel appliances, many deep cabinets, and extraordinarily well-sized counters. Interior features include living room, a separate formal dining room, and a family room with a fireplace and a sliding glass door that leads to a lush exterior. Cherry wood wet bar located near family room and backyard perfect for entertaining. The backyard is an entertainers dream with resort living in your own backyard. The tropical backyard features rock pool and spa, giant palm trees, fire pit, mature landscaping and outdoor bbq kitchen area. The highly usable lot is all in a peaceful setting with plenty of room to entertain and relax. Inside laundry room, 4 car garage attached and a long driveway for extra parking. Corner lot location with tons of privacy. Do not let this one slip away. Masterful design and superior craftsmanship are highlighted by a spacious, open floor plan in this remodeled and expanded single level home on a quiet, picturesque corner lot. Vaulted ceilings and plentiful windows welcome in the natural light and give this single story the openness usually only found in a two-story. European oak wood flooring throughout provides a seamless flow between the dining room and inviting fireside family room, featuring a stacked stone fireplace and espresso stained mantel. The spacious and open kitchen boasts a granite top peninsula, 6 burner cooktop with range hood, skylight, substantial walk-in pantry, stainless steel appliances and beautiful custom cabinetry. A sprawling private master suite is the perfect retreat after a long day. With private access to the secluded patio, the master suite features a walk-in closet and an en-suite bathroom with luxurious walk-in shower, dual vanities and porcelain tile flooring. The exterior showcases an expansive patio, beautifully centered fountain, fresh flowers and lush landscaping. Beautiful amenities and upgrades flow throughout this charming home including dual pane windows, hardwood floors, recessed lighting, and 3 generously sized additional bedrooms and an office space large enough be a fifth bedroom if desired.